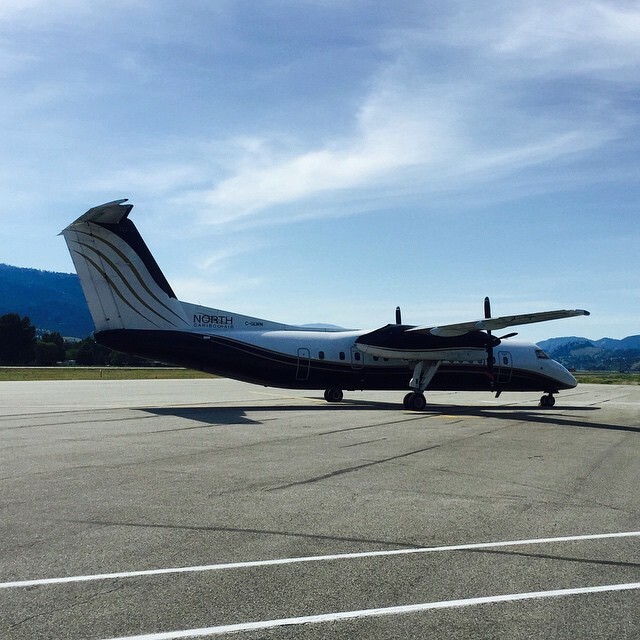 We did fly in on this North Cariboo Air airplane, but it looked so lonely! 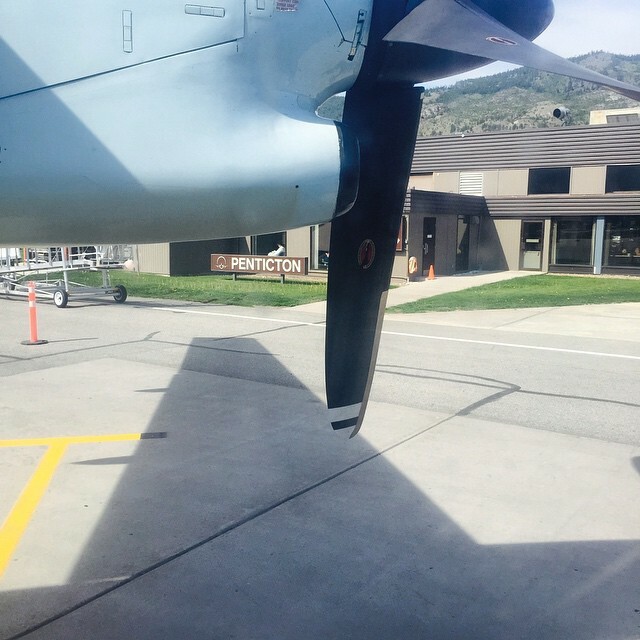 I asked if I could take its photo, and it obliged. 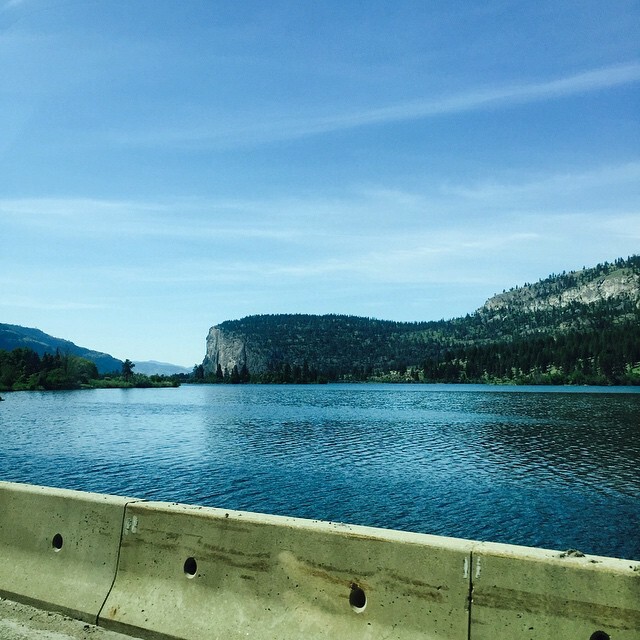 The drive from Penticton to Osoyoos, by way of Oliver, features this striking view from the car, barrier included. 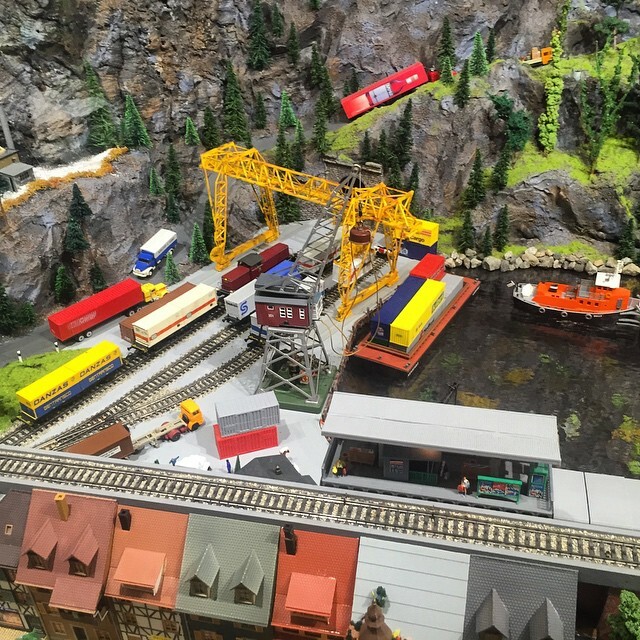 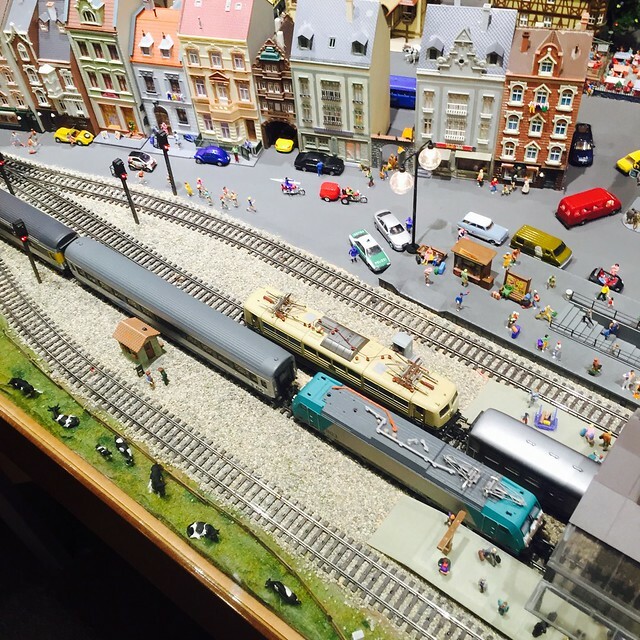 I didn't know what to expect from the Osoyoos Desert Model Railroad. 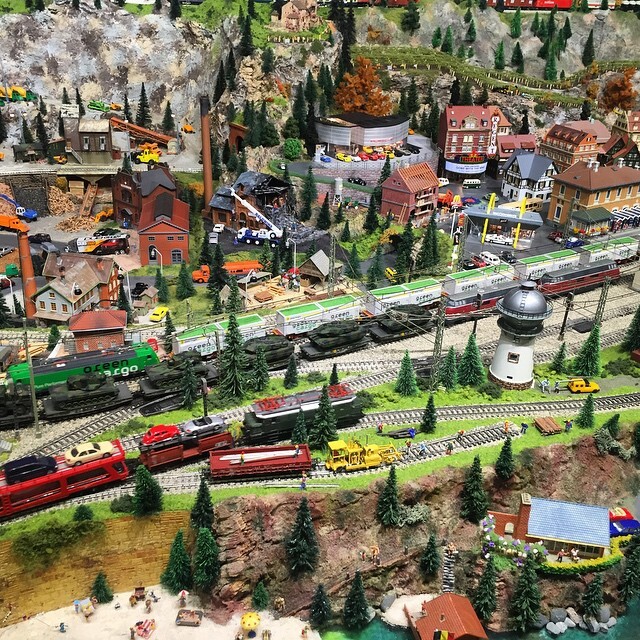 I certainly didn't expect a slice of Europe, build in painstaking detail by a German couple who moved to the town because it was the hottest place in Canada. 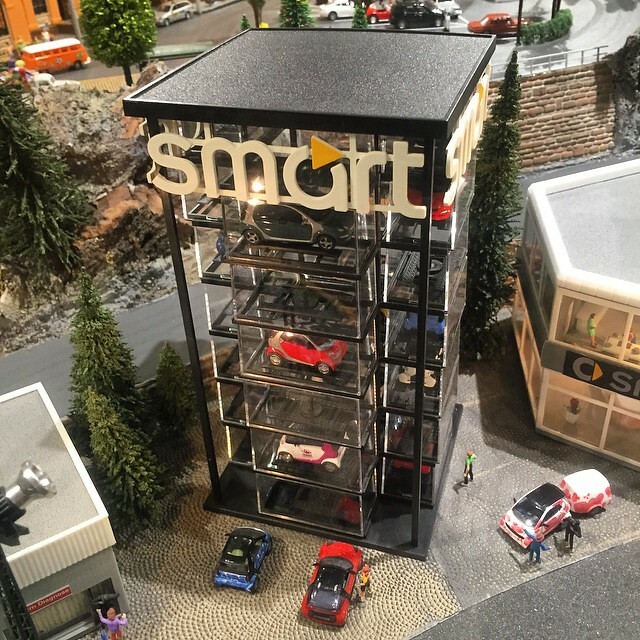 They even built a Smart Car dealership! 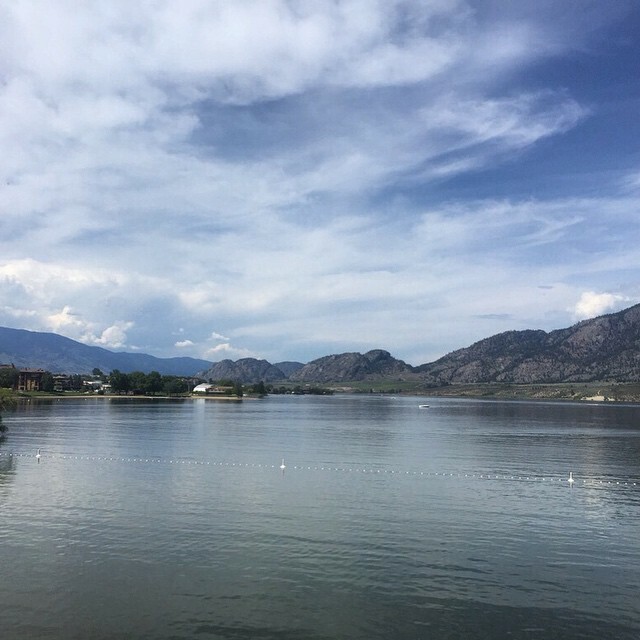 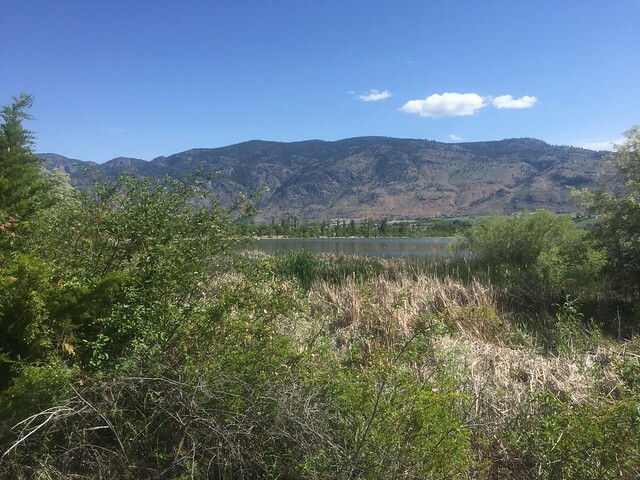 The hotel room we stayed in looks upon the northern view of Osoyoos Lake. 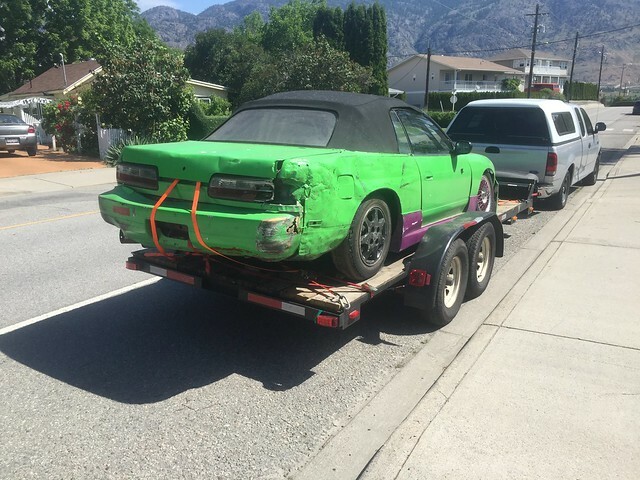 ...and a banged-up race car. 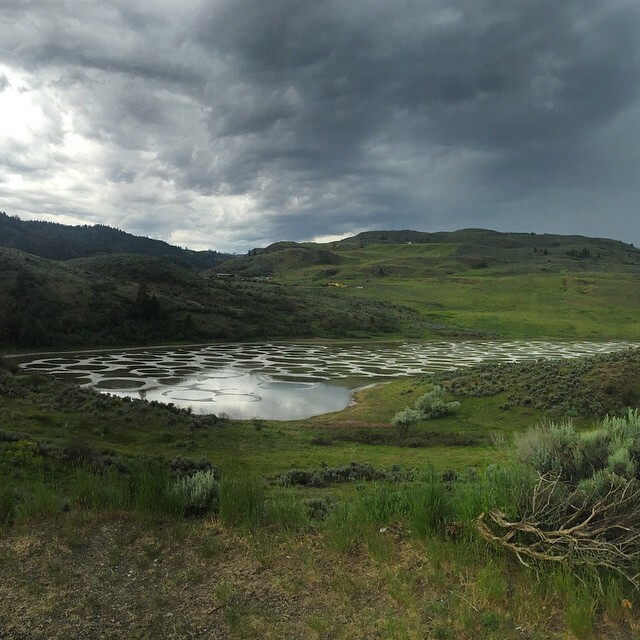 My brother read about Spotted Lake, a saline endorheic alkali lake. 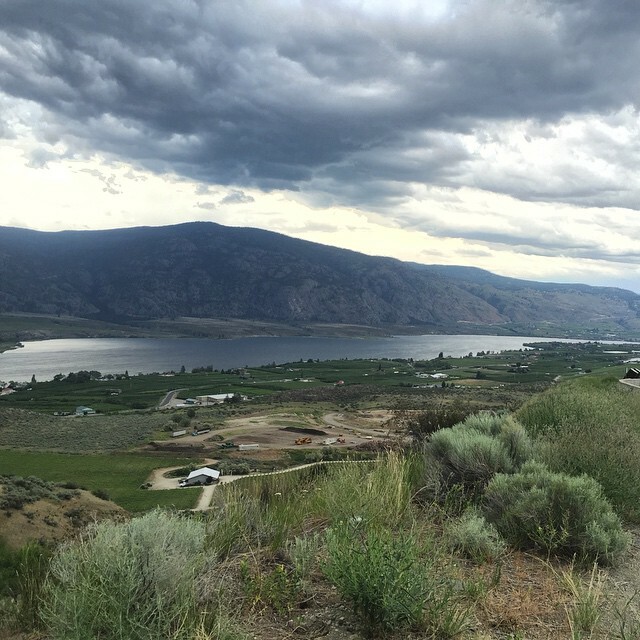 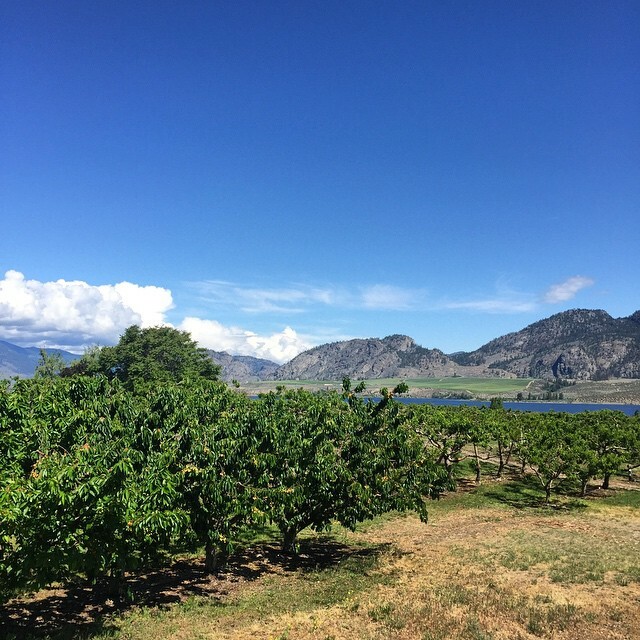 We took a minute to view the Okanagan Valley from a lookout point before a storm cloud rolled in. 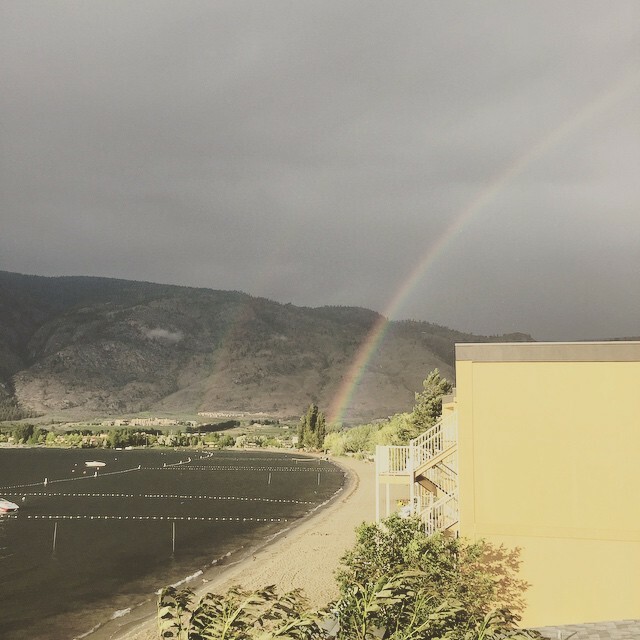 After the thunderstorm passed, a double rainbow greeted us at the hotel. 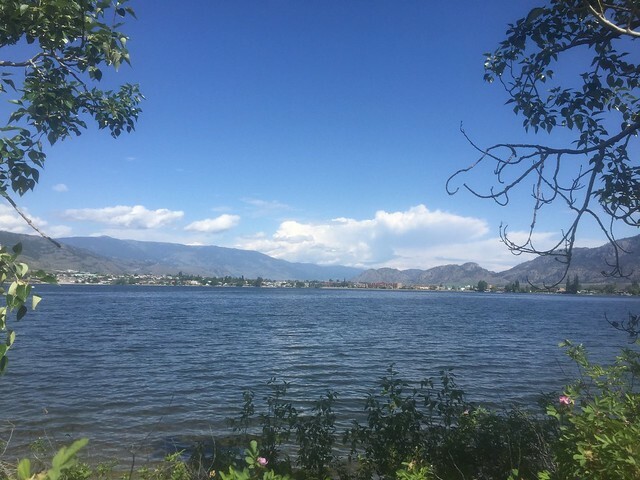 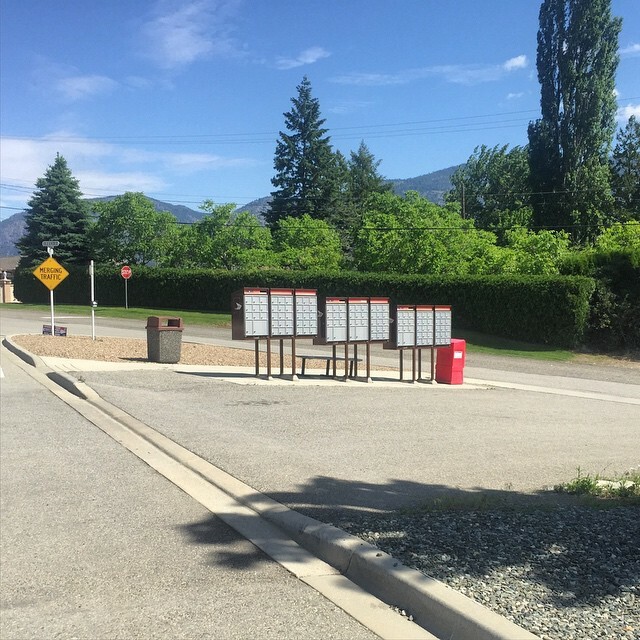 We dropped my aunt off at her house, and beheld another view of the Okanagan.